As I am looking at my business with thriving I am seeing a picture of structure and focus. I am fully connected with “being.” I feel God inside me as I follow my life’s purpose training dogs. It is wonderful. I have developed certain days of the week to accomplish different tasks in my life so that my week is more easeful rather than choppy and overwhelming. So structure to me is part of thriving because I get more done. I also I get to be of service of to more people and dogs. Monday is my flex time this is time I use to get office work done, follow-upwith clients, organize, return e-mails, enter data in Quickbooks, etc. As I perform these weekly tasks I am present and full of love and light. I remember that these tasks are a huge part of self-love. I choose to listen to relaxing music. Tuesday is a day that I go to a networking group called the Art of Business. 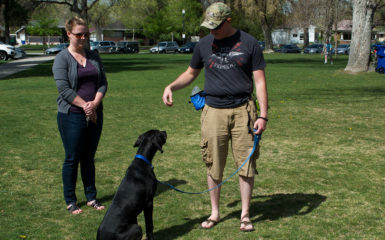 I also take appointments on Tuesday and I have a blast training doggies. At the networking event I meet many people that want their dogs to be trained and are spreading the word that I am an awesome trainer. I am also offering support to many of the other business owners present as well. After the networking group, I spend some focus time. This is a time for me to do some future planning. Sometimes it entitles deep meditation as I look into the future and see what is next for me. I create goals and write them down. Of course the dog training is one of my favorite times of the day. Before each appointment I breath through my belly and fill myself with love. As I become present I create an awesome connection with my client. I am extremely present and listen well. The dogs are an absolute joy and I love watching them learn so fast! Wednesday is another networking day. On Wed I attend a BNI group. The group is amazing. I receive so many referrals and connections with my group. My business grows so much from the connections I have made. I feel this group is a family to me and the creativity is extremely high. I am excited to have this wonderful connection with everyone and it is awesome to see my business growing in leaps and bounds from this group! I also walk one of my clients dogs on this day. She is a joy to be with. 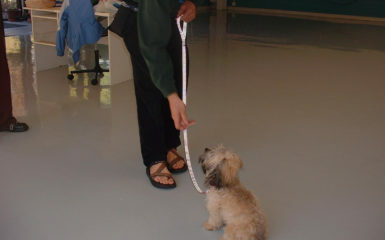 On her walk she receives training with come and leash walking. It is a joy to watch her gears turn and see the learning curve constantly increase. I love being present and in the moment while walking her! The afternoon is left for me to write my weekly dog training tip. This is a wonderful time for me to be grounded and write about something that inspired me through the week. 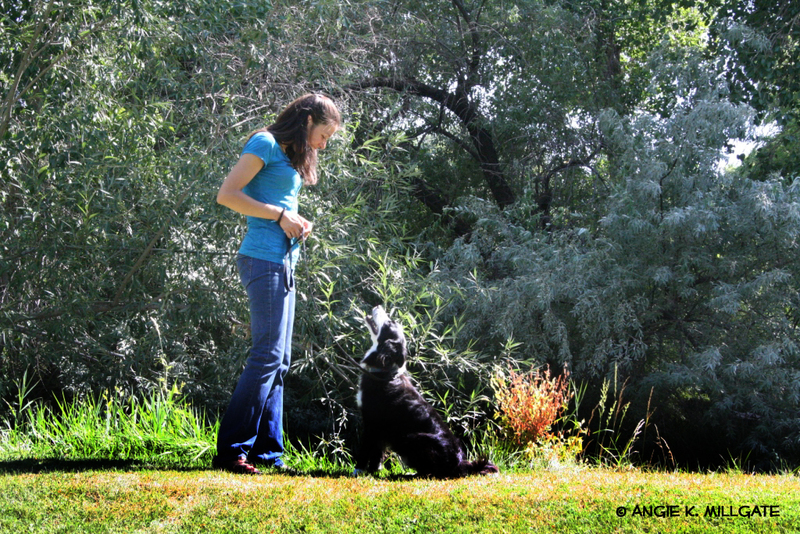 It is wonderful to share this with the world so that everyone can apply what I have learned with their dogs to create more ease and flow with their lives. With the rest of the time in the afternoon I use this time as my focus time. This is a time for future planning for my business. Wondering about growing and expanding. I feel extremely present during this time and my connectedness with God is huge. My creative juices flow. 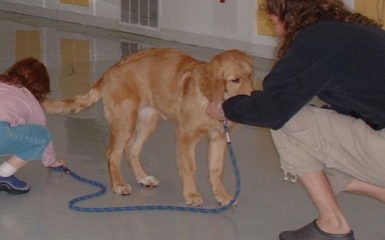 In the evening, I am teaching my Puppy Kindergarten Class and Elementary Obedience class. I love my full classes. I have 8 dogs / puppies in each class. The clients learn so much. There is much laugher, presence, and fun! The owners and the dogs are growing in leaps and bounds! On Thursday for my business I have a networking event that I attend with the Murray Chamber of Commerce. This group is also wonderful. 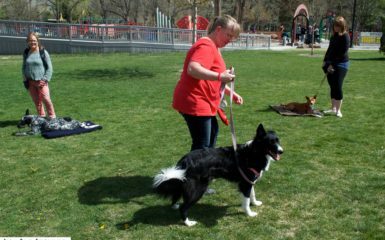 I am always amazed at the number of dog training clients I receive from this wonderful group of people! WOW! In the afternoon I have tons of dog training appointments. I love working with the dogs and the owners. Seeing the gears turn is amazing. Watching the owners and dogs “get it” together where the communication is strong is the best part! Noticing as I write this I feel dizzy. Wondering about allowing myself to accept ease flow and simplicity. My life has many things that I do and yet it is simple. I do and as I do I connect with spirit. As I connect with spirit I am “being” as I am doing. I am also fully allowing my body to raise its vibrational level and to accept more abundance in my life! Wondering what your dream work day would look like? Wonder about this and I invite you to change at least one thing to create your work day to more of a thriving workday than a day of survival!